Drift off into dreamland in this P.J. Salvage Soul Mates Mermaid Tank Top. 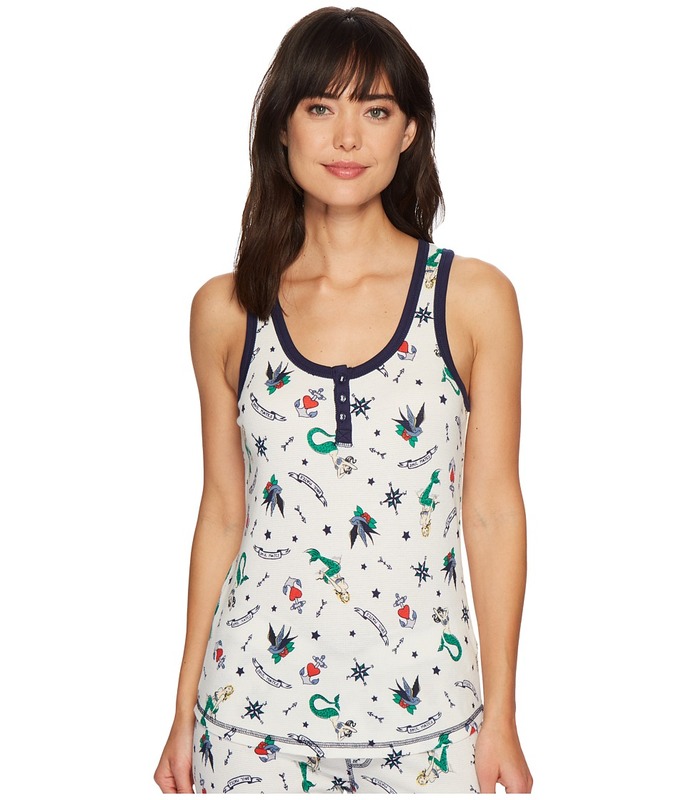 Henley tank top in a relaxed fit. Adorable print on a thermal fabrication. Scoop neckline. Sleeveless. Faux-button placket at front. Curved hemline. 52 percent cotton, 41 percent rayon, 7 percent elastane. Machine wash cold and tumble dry low. Imported. Measurements: Length: 27 in Product measurements were taken using size SM (US 4). Please note that measurements may vary by size. Guaranteed to have luck on your side in these Salvage Shorts. Regular rise. Mini four-leaf clovers allover a French-terry fabrication. Elastic waistband with drawstring ties. Straight hemline. 65 percent polyester, 35 percent cotton. Machine wash cold, tumble dry low. Imported. Measurements: Waist Measurement: 30 in Outseam: 9 in Inseam: 2 in Front Rise: 9 in Back Rise: 14 in Leg Opening: 24 in Product measurements were taken using size SM (US 4). Please note that measurements may vary by size. Guaranteed to have luck on your side in these Salvage Shorts. Flaunts a low rise and a slim fit through the thigh. Garment-dyed fleece fabrication features a striped trim at sides. Elastic waistband with drawstring tie. Three-leaf clover embroidery at back. 60 percent polyester, 40 percent cotton. Machine wash cold, tumble dry low. Imported. Measurements: Waist Measurement: 30 in Outseam: 10 in Inseam: 2 1 2 in Front Rise: 9 in Back Rise: 14 in Leg Opening: 24 in Product measurements were taken using size SM (US 4). Please note that measurements may vary by size. These P.J. Salvage shorts will express how you really feel on the inside. Flaunts a low rise and a relaxed fit through the thigh. Thermal fabrication features an adorable print throughout. Elastic waistband with drawstring tie. Feminine lattice trim at hem. 52 percent cotton, 41 percent rayon, 7 percent elastane. Machine wash cold, tumble dry low. Imported. Measurements: Waist Measurement: 30 in Outseam: 10 in Inseam: 2 in Front Rise: 9 in Back Rise: 14 in Leg Opening: 26 in Product measurements were taken using size SM (US 4). Please note that measurements may vary by size. 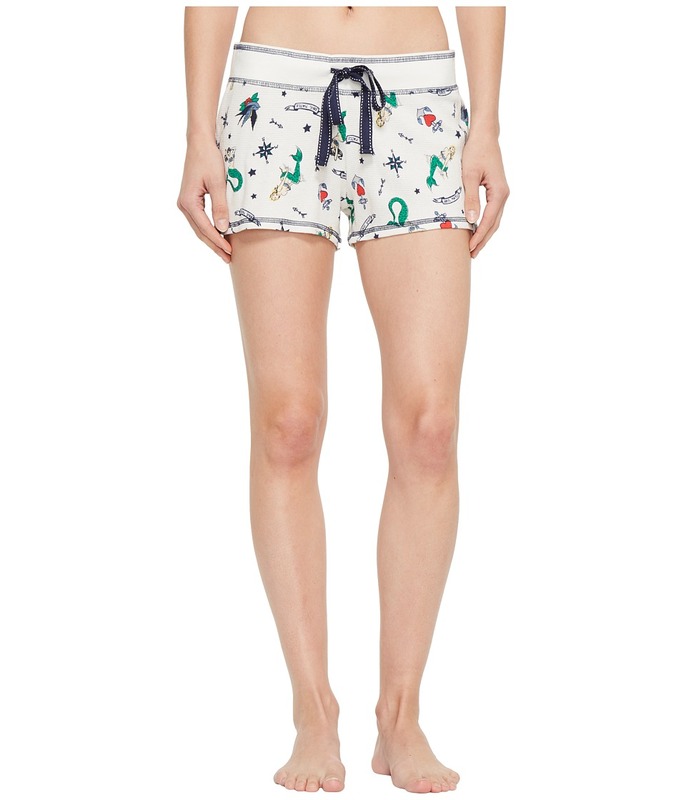 Drift off to dreamland in these stylish P.J. 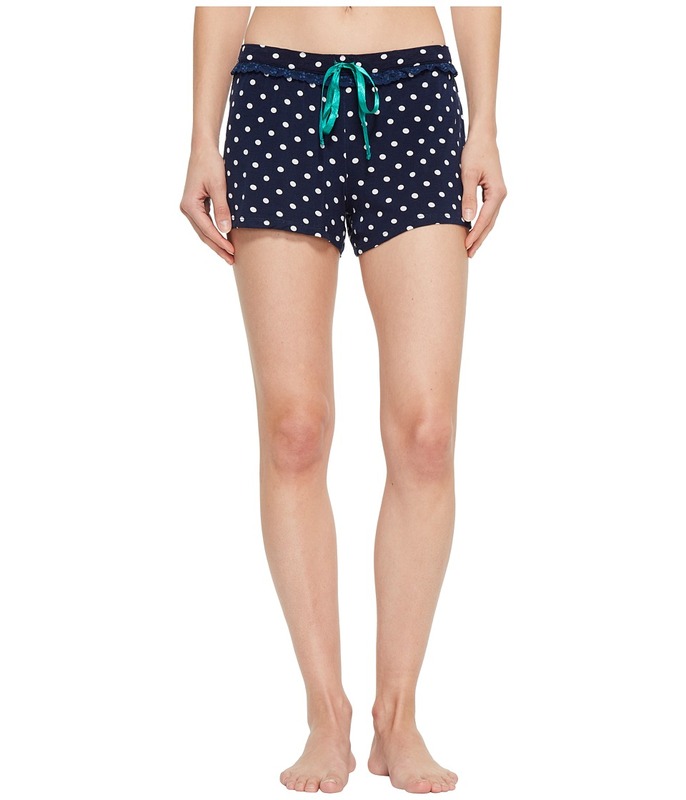 Salvage Soul Mate Polka Dot Shorts. Flaunts a low rise and a slim fit through the thigh. Polka-dots print on a lightweight jersey fabrication. Elastic waistband with drawstring tie. Feminine lace trim at waist. 95 percent modal, 5 percent elastane. Machine wash cold, tumble dry low. Imported. Measurements: Waist Measurement: 28 in Outseam: 11 in Inseam: 2 1 2 in Front Rise: 10 in Back Rise: 14 in Leg Opening: 26 in Product measurements were taken using size SM (US 4). Please note that measurements may vary by size. Relax in style in these P.J. Salvage Elevated Lounge Pants. Pajama pants in a relaxed fit. Super-soft jersey fabrication. 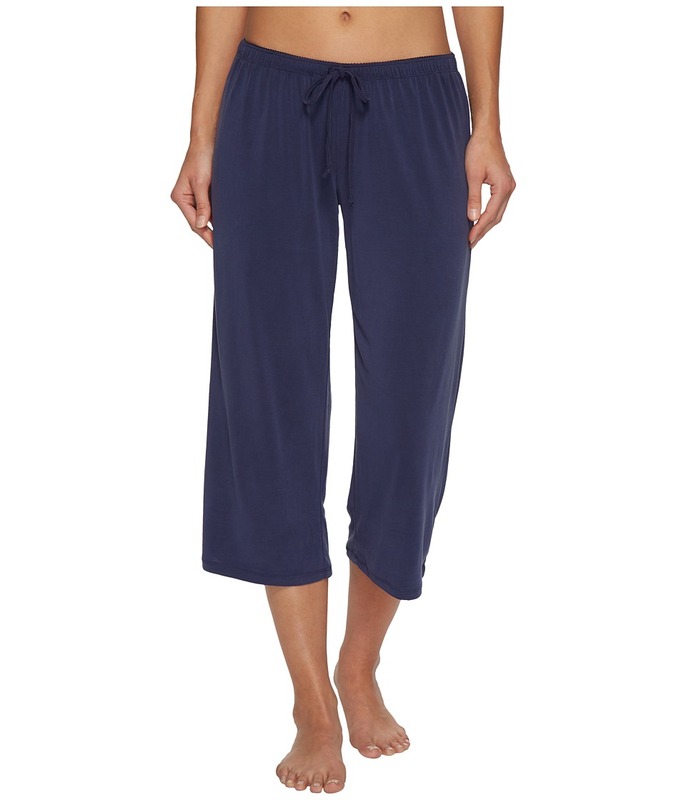 Elastic waist with a drawstring tie. Straight hem at a cropped length. 67 percent modal, 33 percent polyester. Machine wash cold, tumble dry low. Imported. Measurements: Inseam: 22 in Product measurements were taken using size SM (US 4). Please note that measurements may vary by size. 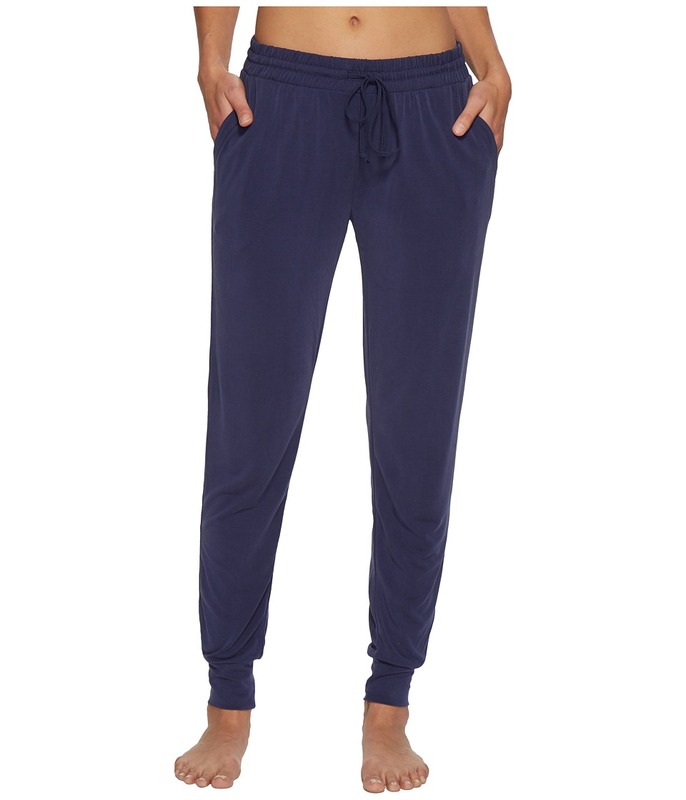 You~ll get cozy in style in these P.J. Salvage Elevated Lounge Jogger Pants. Pajama bottoms in a regular rise. Marled-jersey fabrication. Elastic waistband with drawstring tie. Banded cuffs. 67 percent modal, 3 percent polyester. Machine wash cold, tumble dry low. Imported. Measurements: Inseam: 29 in Product measurements were taken using size SM (US 4). Please note that measurements may vary by size. You will be ready for those cold nights in these adorable P.J. Salvage Floral Bird Joggers. Pants flaunt a cute Floral Bird print on a soft peachy jersey fabrication. Features a regular rise and a slim, tapered leg. Elastic waistband with a drawstring tie. Banded leg cuffs. 48 percent rayon, 47 percent polyester, 5 percent elastane. Machine wash cold, tumble dry low. Imported. Measurements: Inseam: 32 in Product measurements were taken using size SM (US 4). Please note that measurements may vary by size. Guaranteed to have luck on your side in these Salvage Joggers. Regular rise. French-terry fabrication. Elastic waistband with drawstring tie. Four-leaf clover graphic at left side. Dual hand pockets. Ribbed cuffs. 62 percent polyester, 33 percent rayon, 5 percent spandex. Machine wash cold, tumble dry low. Imported. Measurements: Inseam: 29 in Product measurements were taken using size SM (US 4). Please note that measurements may vary by size.